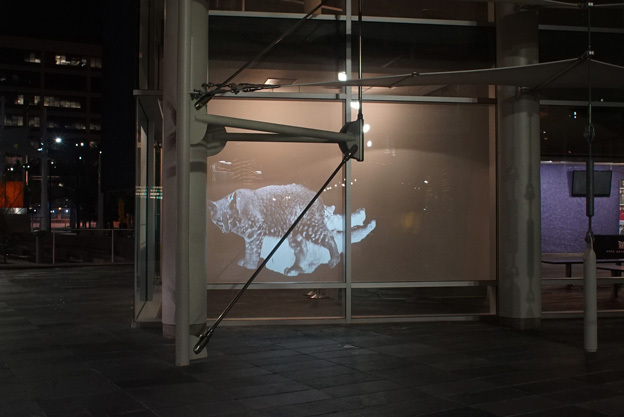 Animal Land is a visual metaphor for wildlife in the Anthropocene era, an unfolding narrative that wavers between displacement, reintroduction and loss. 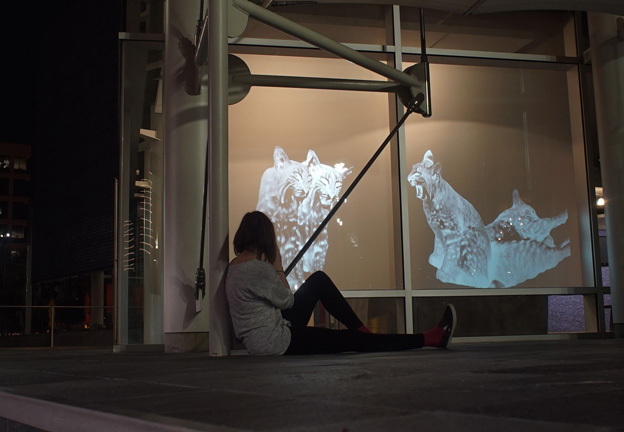 Collaborators Lauren Strohacker and Kendra Sollars reimagine traditional wildlife encounters in a contemporary format – through technology in an urban space with human inhabitants. 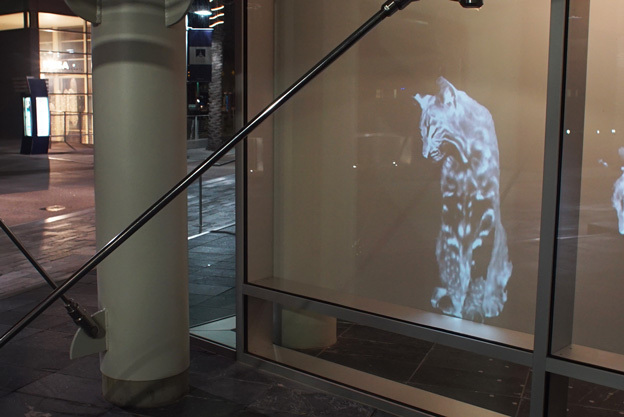 Large format video projections generate synthetic animals, native to each location, that are completely decontextualized. Void of environment, sound, and color, they are activated only by electricity, light, and cityscape. Novel human/animal relationships are realized as man-made forms and sounds interrupt the projection, causing space shifts between resolution (physical sense) and sparking faded memories of true animal encounters (metaphysical sense). Both real and imaginary interactions with animals influence human perceptions of cohabitation vs. conflict, a dichotomy that ultimately determines the fate of native species.